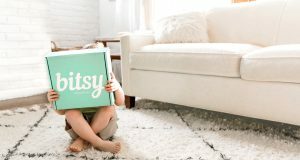 Babypallet is a monthly subscription box of goodies for babies, from newborn up to 3 years. Every month, Babypallet delivers a curated baby box of four or more hand-picked, high quality products, tailored to the age and gender of your child. Monthly Babypallet boxes include a surprise selection of toys, books, foods, and other household products for parents. 1, 6, and 12 month Babypallet subscriptions and Babypallet gift subscriptions are available. How would you rate Babypallet ?